Most companies have never known the importance of having a company profile, while for those who have one they don’t know what it should entail. A professional company profile is marketing tool that you use to present to your potential clients, investors and any other person that might be interested to deal with your company. A company profile is a view into a company, allowing potential new clients to get a in depth idea of what a company does or offers, its target market, its unique strengths, its track record, and whether it is a professional company to do business with. It clearly shows a brief summary of the company, its objectives, the goals and the milestones it has achieved. The design of a company profile will vary with the amount of money you are willing to spend. You can either have your company profile digitally printed in gloss paper or it can be done in normal paper at the comfort of your office. The one done digitally is a bit expensive but it will always show the seriousness you have in your business. A professionally designed corporate business profile should contain the basic information about the company. These include the year when the company was established, where it is situated, the products and services it offers, its target customers, its unique strengths, and the values it is committed to. Company profiles should really go beyond stating facts about a company and should be visually appealing and designed well. A well-written company profile definitely should talk about the values, mission and goals for the future. A well written company profiles should also show how effective the company is at meeting the potential client’s needs. If a company has been around for a considerable time, a brief discussion of the awards it gained, its achievements, or the successes it accomplished would help establish a solid case for the company’s dependability and suitability for business engagement. Lastly, contact information should be included in the profile in order to facilitate correspondence and feedback from customers as well as potential partners and investors. In addition to existing and potential customers, corporate company profiles are also viewed by investors, service providers and potential business partners. It is also important to submit a professionally designed Company Profile if you submit a Tender. Company profiles should be used optimally in corporate websites, press releases, brochures, and official online profile pages on social and professional networks such as LinkedIn, Twitter and Facebook. Remember to update your Company Profile as things change. Make a page for all Personnel explaining their qualifications, achievements and responsibilities within the company. A good company profile must have no errors in the text.  We at Jabulani Design Studio have a professional cop y writer to assist you with your content writing and editing. Our designers will then design it in a professional visually attractive way with relevant pictures put into it. Normally it can be between 4 and 12 pages or even longer. A company profile is just an extension of that business plan. The only difference being that you’re presenting actual facts of achievements rather than projections for success as you would in a business plan. Don’t forget to enhance your profile with solid financial information of Projects you have done in the past. It will give your company more credibility. References of previous clients are also important.